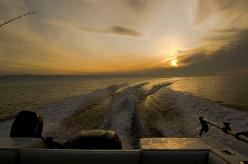 ​​Visiting Vancouver Island and would like to go Fishing for Halibut or Salmon in Tofino. 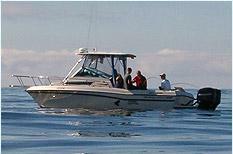 We have made you a list with the best Tofino Fishing Charters so you can make the most of your Tofino Fishing Adventure. The BC coast attracts anglers from around the world to come catch huge Halibut and Coho & Chinook Salmon. Go fishing with your buddies or take the whole family. During your fishing tour you often get to see wildlife like Whales, Eagles and sometimes Bears & Wolves up the Tofino Inlet. Do you want to go fishing in a fresh water lake or river...? Atleo River Air Service provides Tofino Heli Fishing Tours that will take you to remote fishing spots where boats have no access. Craving fresh fish, but you don't feel like catching your own... there are several fresh seafood restaurants in Tofino. Some even have their own fishing boat ! See our Seafood Restaurant Directory. There’s a lot of buzz about Fishing in Tofino BC, and we couldn’t be happier to provide you with an up to date Tofino Fishing Report. We’ve seen fantastic Fishing conditions in 2015. Make sure you know the Tofino Weather Forecast before you go out on the Pacific Ocean. 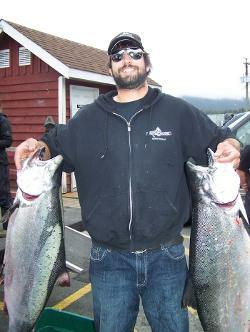 There are 2 Annual Fishing Derby's in Tofino and they attract Anglers from all over the globe. The Tofino Saltwater Classic is July 3rd to 5th and is hosted by Brendan Morrison. This year the Tofino Legion will host it's 31st family Fishing Derby on July 25 & 26th.